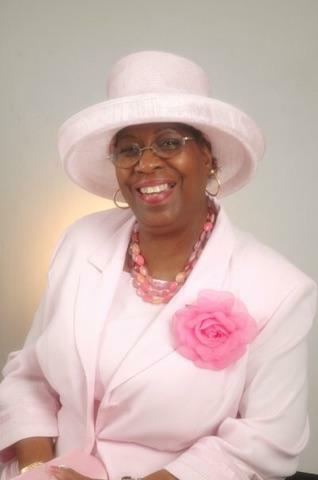 Obituary for Maude Elizabeth (Ferguson) Richardson Wallop | Jolley Memorial Chapel, P. A.
Maude E. Richardson Wallop, 78 died Wednesday, July 4, 2018 at Peninsula Regional Medical Center in Salisbury, MD. Born in Nassau, Bahamas, she was the daughter of the late Arthur Leonard Ferguson and Helen Meadows Fowler. Her late husband Richard Wallop died in 2015. She relocated to the United States in 1977 and made her home in Snow Hill, MD. She was formerly employed as a seamstress with the former Powellville Garment Company, and for the past 20 years with Bagels and Buns and Wendy’s in Ocean City, MD. She was a member of Mt. Zion Baptist Church in Snow Hill where she served on the Senior Choir. Her survivors include four children: Vanessa Inniss-D’Arville of Gobowen, England (UK), Boccaio (Cindy) Inniss of Virginia Beach, VA, Patrice (Tony) Inniss-Williams of Baltimore, MD and Jennifer (Tony) Wallop-Walker of Salisbury, MD; twelve grandchildren: Sophia, Devon, Deshawn, Charles, Jamal, Russell, Jasmine, Jeremy, Sasha, Ian, Jordan and Jay; five great-grandchildren; seven siblings; three brothers-in-law, four sisters-in-law and a host of nieces and nephews. A daughter, Deborah Richardson preceded her in death. A funeral service will be held 11:00 a.m., Saturday, July 14, 2018 at Mt. Zion Baptist Church, 410 Dighton Avenue, Snow Hill, MD where friends may view two hours prior to service. Interment will be in the church cemetery.